In Iran, the term “small-sized business” refers to businesses that employ 5 to 50 people. Today, there are more than 80,000 small and medium-sized enterprises in Iran. They account for more than 90% of the total number of enterprises in the country and provide employment for about half of the able-bodied population. Despite this, the overall productivity of Iranian small enterprises is quite small compared to that in other countries. This is primarily due to the country’s unfavorable economic conditions caused by international sanctions. Following the introduction of the Joint Comprehensive Plan of Action and lifting of some restrictions on small and medium-sized enterprises, the situation has somewhat improved, but this is still not enough. 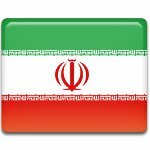 To support small and medium-sized enterprises, the government of Iran allocates funds to enterprises that have suspended operations or are not operating at full capacity. Small Business Support Day was established in order to raise public awareness of the importance of such enterprises for the country’s economy and the welfare of its citizens.